With my travel schedule as of late, I feel like I’ve got my work cut out for me this year. It’s always a challenge to stay active when I’m on the go, but I’m making progress! I’m not one to deprive myself, especially while traveling or on special occasions over the holidays. So when watching what I eat is essentially out of the question, I try to compensate with extra workouts and staying as active as possible. Sure, I try to walk as much as I can when I’m traveling, but I’ve been making a conscious effort to do more to target my arms and core even when I’m away, too. 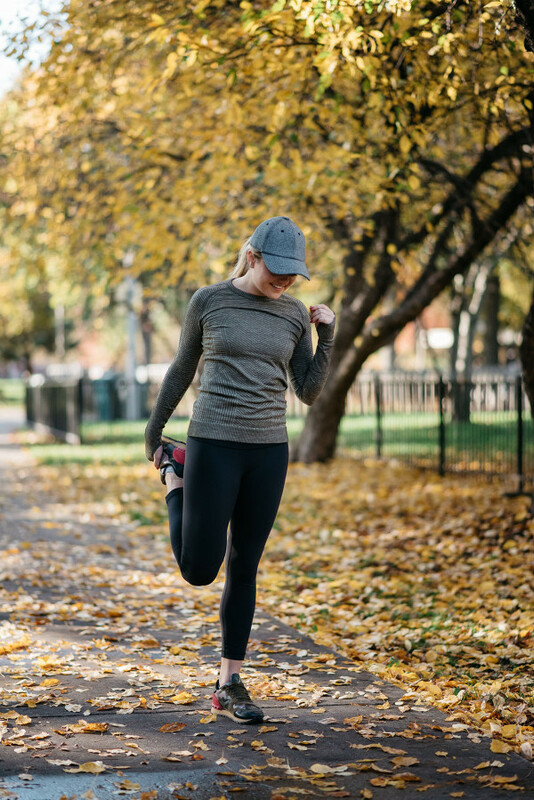 When I was in Europe for a month earlier this fall, my legs stayed in shape with all of the walking and my apartment being up 7 flights of stairs, but I returned home to find that I’d lost so much strength in my upperbody and abs. So disheartening! Merritt and I have been making it a point to get some circuit training in while we’ve been in Asia… She’s actually going to do a post about a few workouts you can do without a gym (in an AirBNB, for example), without extra weights, and without causing too much of a ruckus. So stay tuned for that… Lots of lunges, squats, planks, push-ups, and ab work! 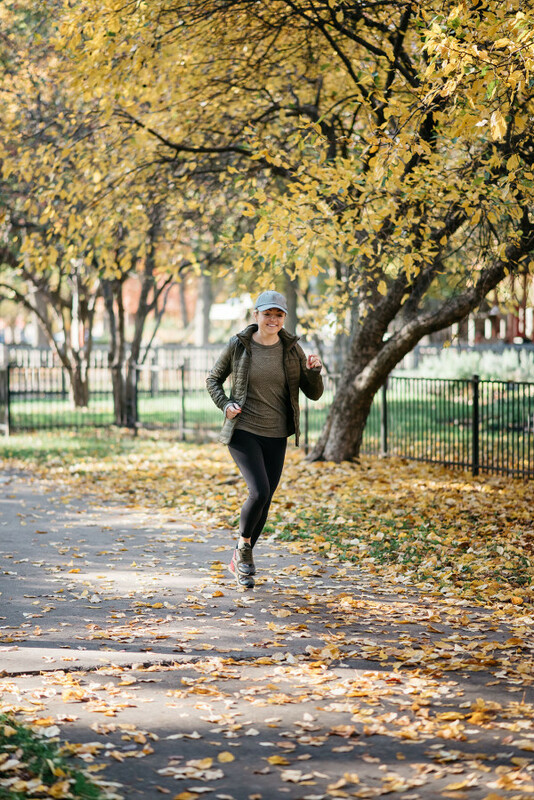 Here are some of my best tips for staying fit this fall, but I think most of them are fairly applicable no matter the time of year! For me, it’s a lot of little things that make a big difference. 2. Dress the part! 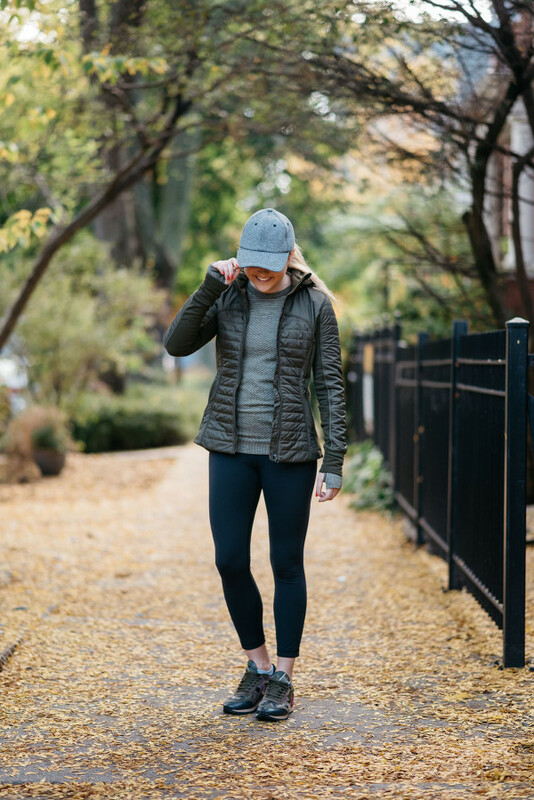 Just as you pull out all of your fall layers and transition your regular wardrobe, you have to do the same for your workout clothes, too. If you’re freezing cold and uncomfortable when you’re outside, of course you’re going to make up every excuse not to go! 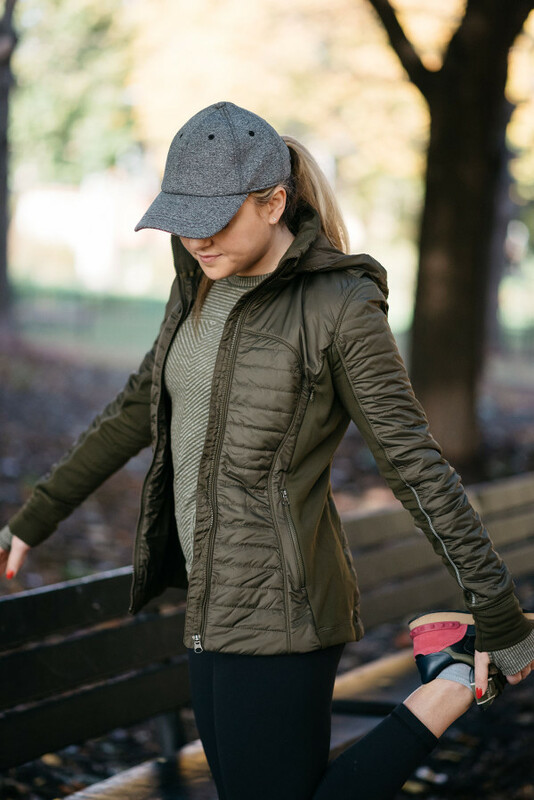 It’s all about the layers, just like your typical fall fashion. 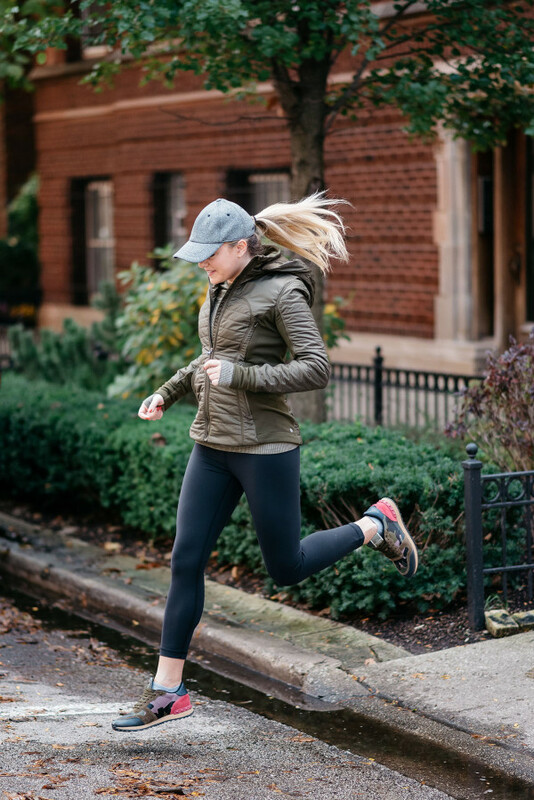 I’ve never really had a “workout coat” until this fall, and let me tell you, it’s a total game changer. 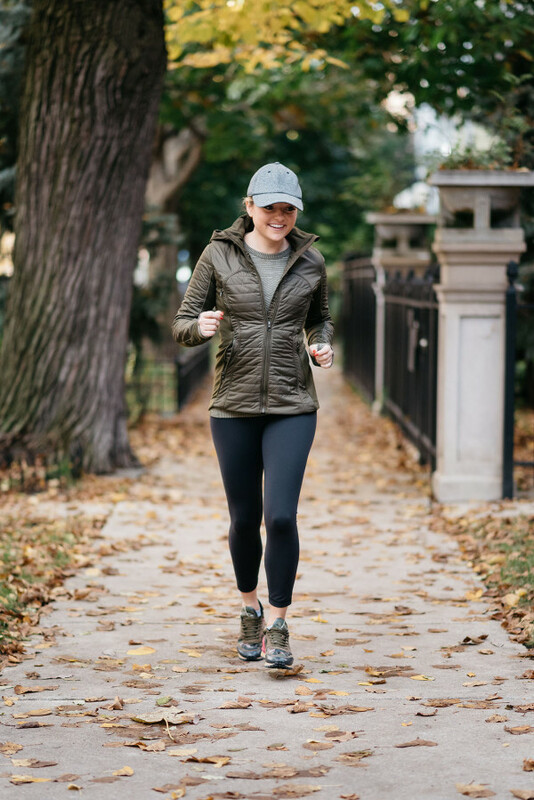 I used to just wear one of my regular coats over my gym clothes to the gym or whatever studio I was headed to, but I just picked up this First Mile Jacket at lululemon a few weeks ago and it’s a new found favorite! (Couldn’t say no when I found it in my favorite color!) 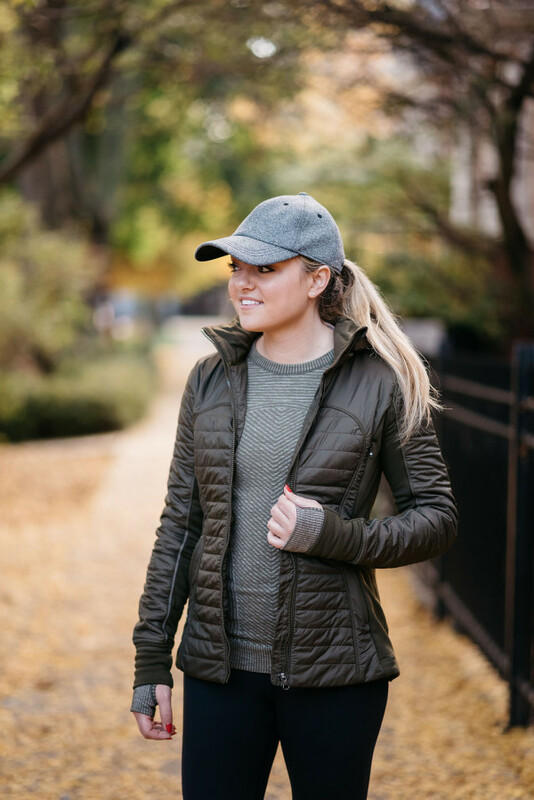 It’s the perfect layering piece for those chilly mornings and evenings and it’s so cute besides. I’ve already had multiple people ask where I got it! 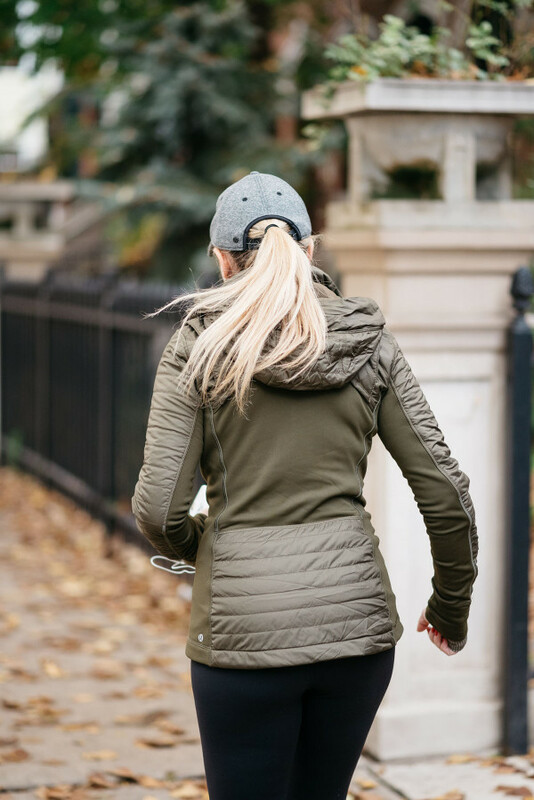 It’s got the look of a sporty puffer, but it’s super slimming with a flattering fit. It’s super warm even though it feels pretty lightweight. 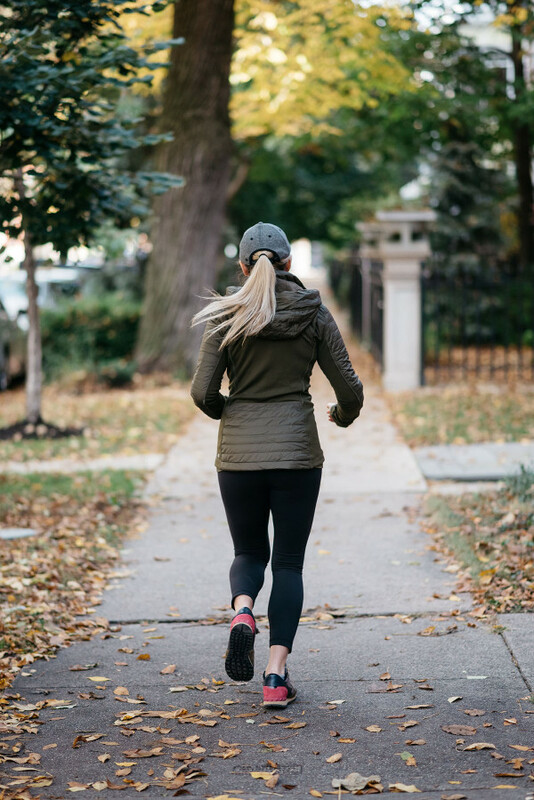 It’s made for running, but perfect for to-and-from, too! 3. Forget about the gym! Just like I mentioned earlier, staying in shape when you’re out of your regular routine is tough. Especially when you don’t have a gym! YouTube is a great resource for workouts you can do on the go, whether that’s your parents’ garage or a hotel room. When I’m in cities that don’t have my favorite fitness studios, I used to nix workouts out all together. But with a little bit of research, you can find some workouts that get the job done quickly with little to no equipment needed! You just have to commit. 4. Create an AM or PM routine! 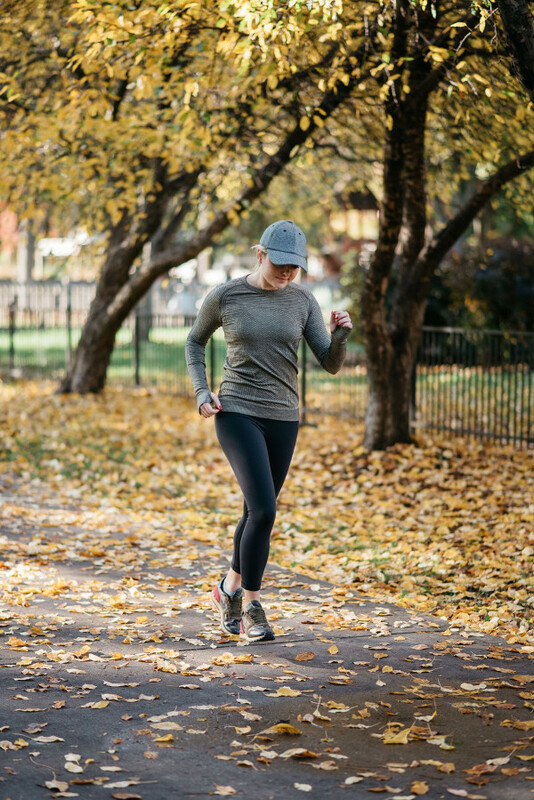 Even if you don’t have time for a full workout during these busy months, set aside 5-10 minutes to squeeze a few exercises in. Holding a plank for a minute or two, doing 20 squats and lunges, doing 50 crunches, 5 sun salutations, you name it. Every little bit helps when it comes to toning! Create a customized (quick!) little routine and stick to it, each and every single day. Figure out if just before bed or first thing in the morning works best for you and make it happen! 5. Mix it up! When I’m home and in my routine, I’ve found that I see the best results when I’m doing all sorts of workouts. 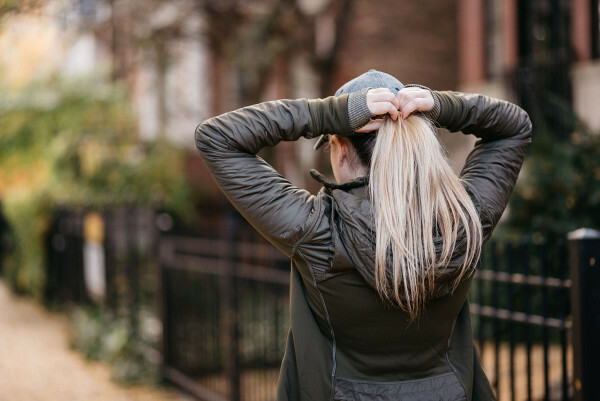 I love SoulCyle and try to go as much as I can, but the workout is most effective for me when I’m mixing it with hot yoga, weight training classes, barre, and pilates-based classes. Finding workouts that I truly enjoy has 100% changed my attitude towards working out in the last several years so I’m all for sticking with what you know and love! BUT I really do encourage you to switch it up and find some new favorites to add to the mix to keep your body on it’s toes. 6. Use heavier weights! Might as well make it count, right? Whether it’s SoulCycle, Yoga Sculpt, or a bootcamp class at your gym, grab the next heavier set of weights instead. You’ll torch more calories, get stronger, and probably won’t even be able to tell the difference! 7. Step on the scale! Daunting, I know. But it really does help! 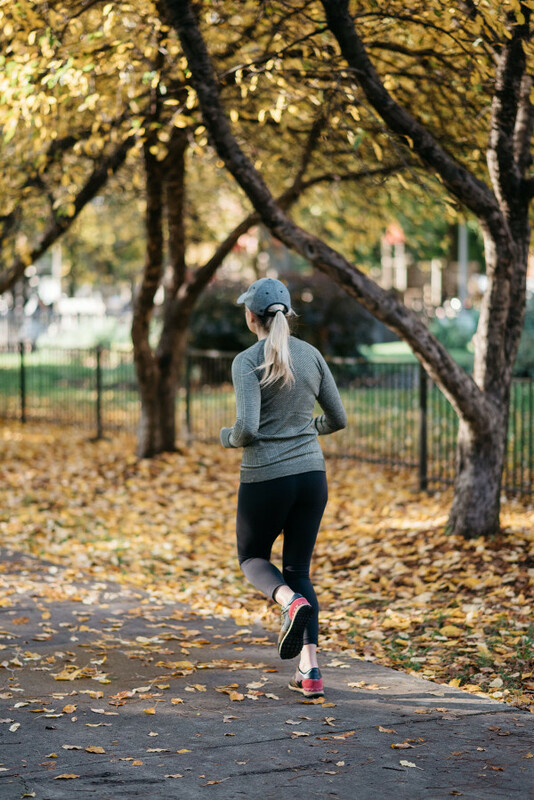 After wearing little tanks and dresses all summer long, it’s easy to lose sight of things when you’re wearing mostly oversized sweaters and leggings this time of year. 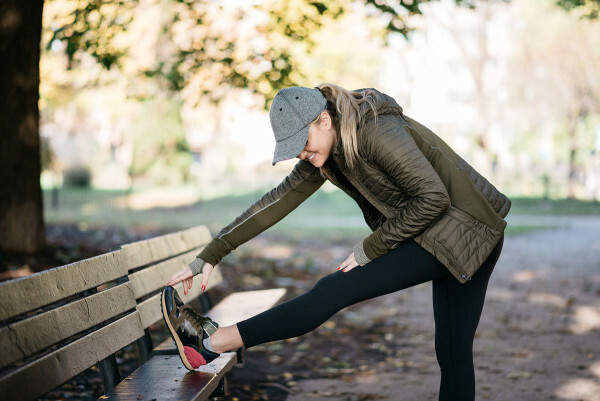 Stepping on the scale and checking in regularly helps to make sure those extra pounds don’t creep up out of nowhere! 8. Make it social! ‘Tis the season for lots of holiday get-togethers, gift exchanges, happy hours, etc. I totally know how it goes! But I also know that it’s easy to nix your gym plans in lieu of getting together with the girls. This year, let’s switch it up! 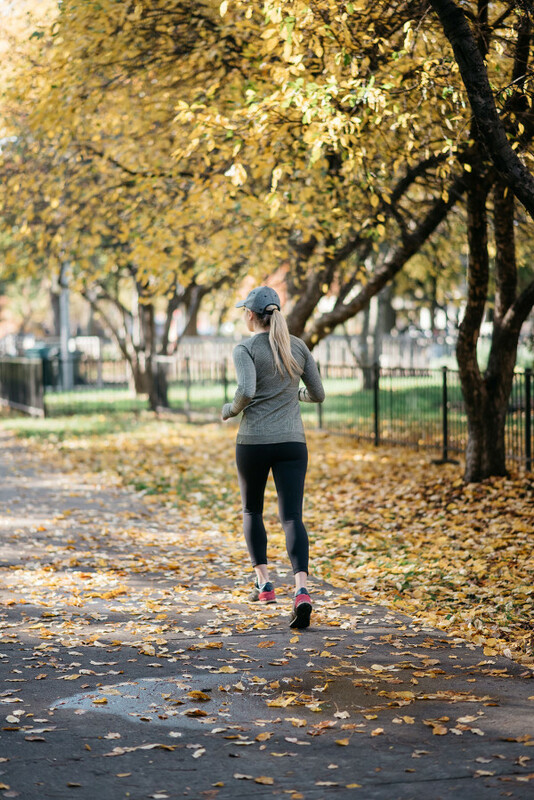 For Secret Santa with your girlfriends, why not meet up and sweat it out first? Plan a group get-together for a fun fitness class and grab a smoothie (or a glass of wine) afterwards to swap presents. Two birds, one stone! 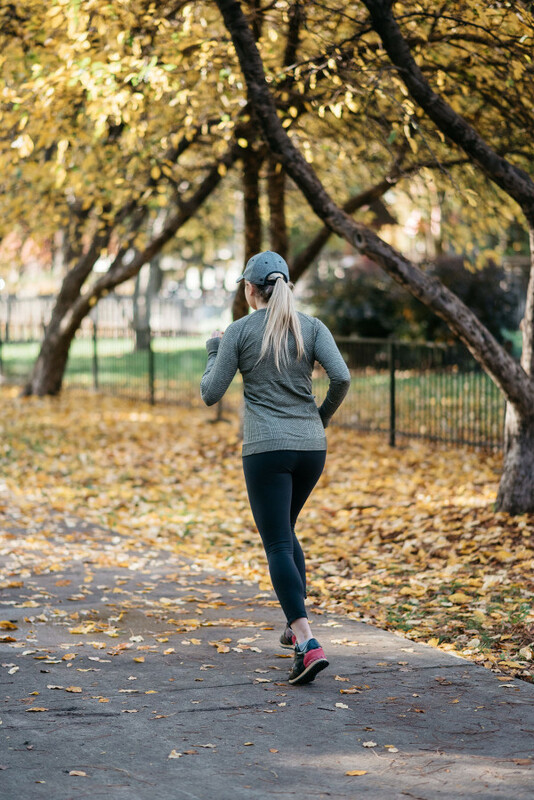 Instead of grabbing a drink or a bite to eat with a friend, do something active instead! 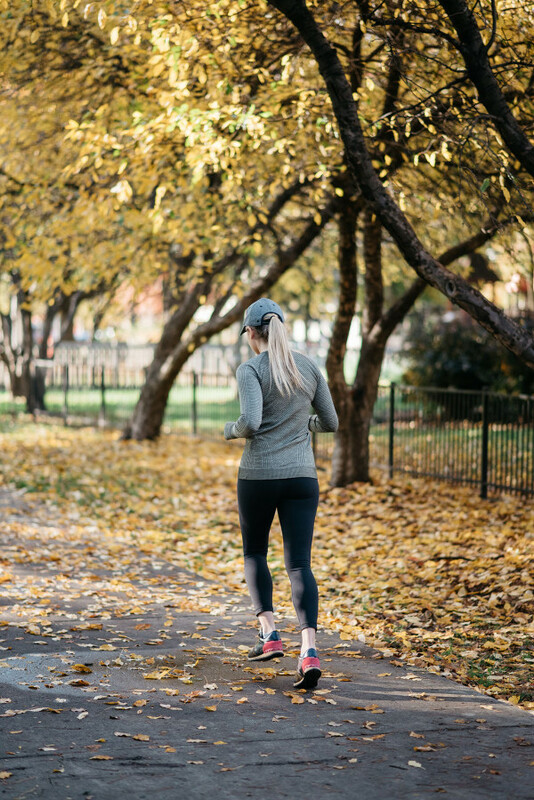 Take a yoga class followed by a trip to the juice bar or catch up over a walk through the park. 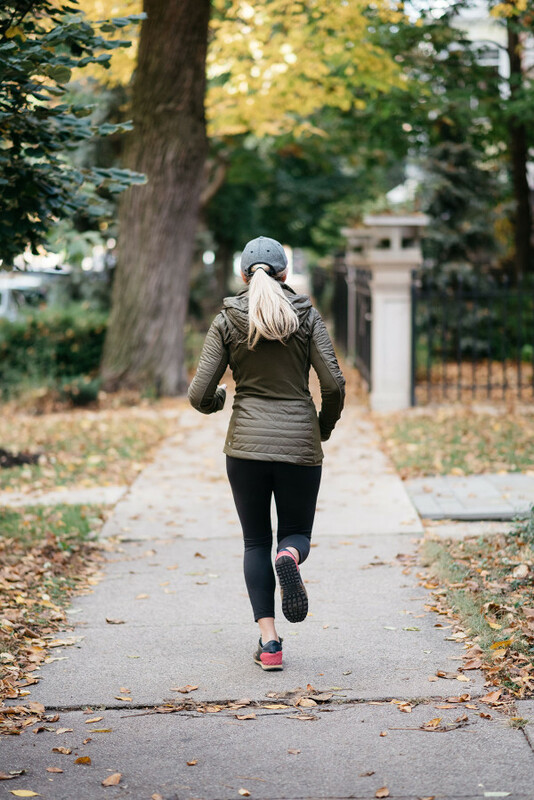 That way, you’ll be keeping your plans without forgoing a workout. A win, win! I’m sure all of the other gals will appreciate the change of pace, too. 9. Plan ahead! I’m a planner by nature (I’m a Virgo), but I swear it helps. I schedule workouts into my calendar to make sure that they happen. When I can see it visually and how it works into my day, I’m way more likely to get it done! 10. Hydrate, hydrate, hydrate! I’m kind of psycho about drinking water. At any given moment, there’s a 95% chance that there’s at least one water bottle in my handbag. 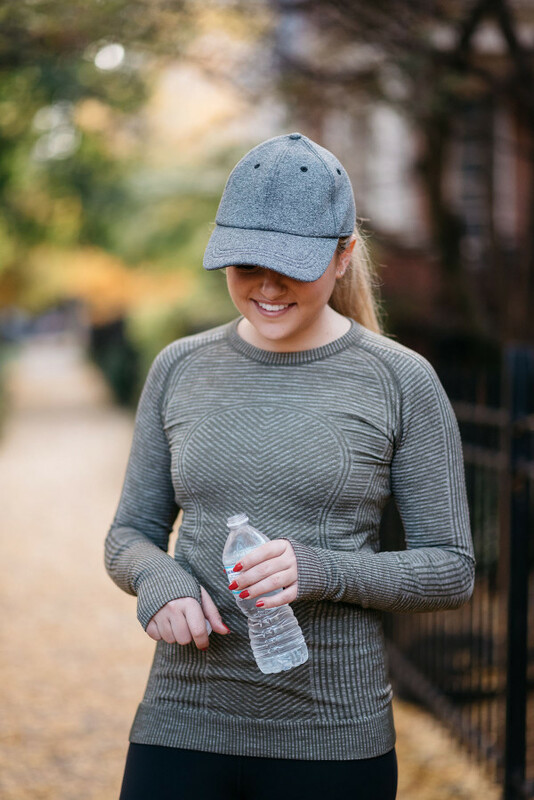 So much goes awry when you’re dehydrated… you eat more, you crave junkfood, you’re cranky, your skin looks bad, you’re tired, you get headaches, you get muscle cramps… the list goes on and on! Drink lots of water and drink it often, especially this time of year when sleep tends to be short and booze tends to be plentiful. 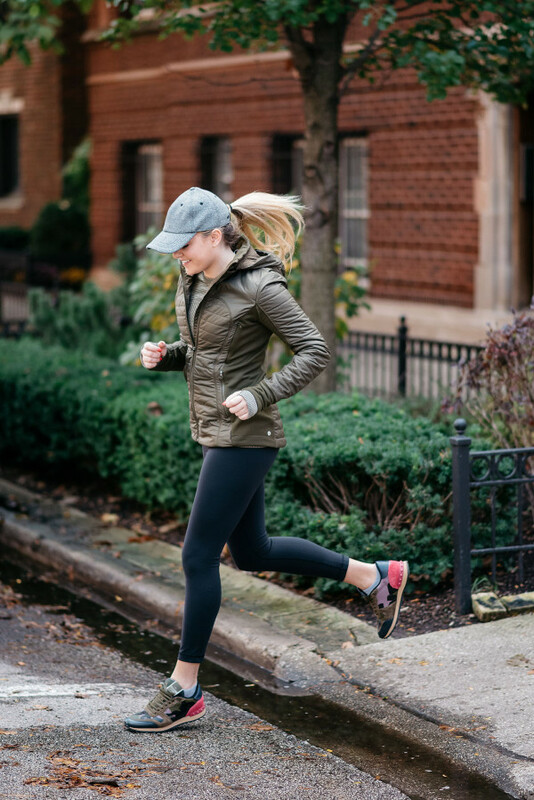 I feel like this goes without saying, but here’s my bonus tip — Invest in some new workout gear if you need a little extra motivation to get outside or get to the gym! Works like a charm, I promise. 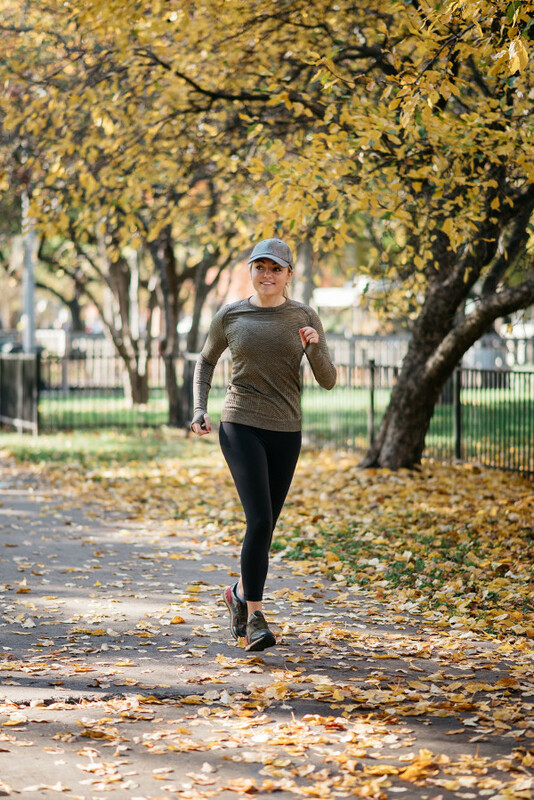 Lululemon is my favorite place to shop for the best-fitting workout tights and tees! What else would you add to the list?! Anything I forgot? 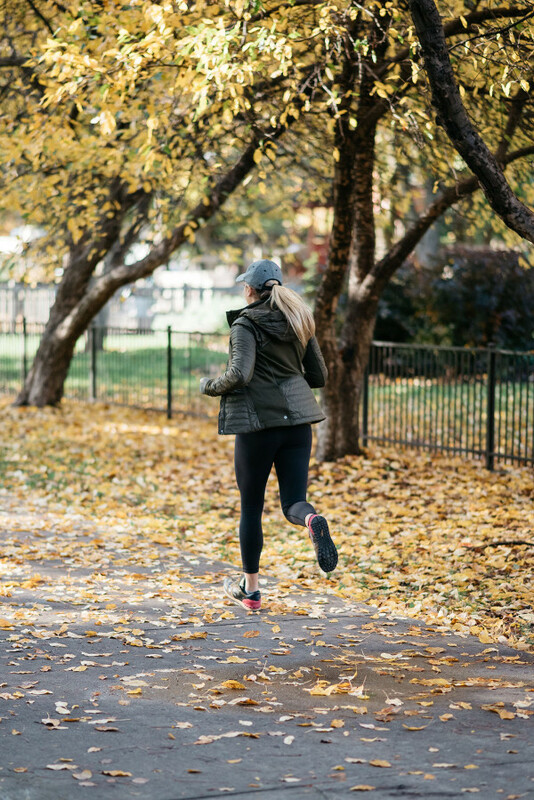 What are your best tips and tricks for staying on track over the holidays? Great tips and beautiful photos! I find that not having a put-together outfit is my number one downfall for giving myself an excuse not to work out. I dress like a hobo usually – old clothes I don’t mind getting dirty. That long sleeve top is way cute. It’s good you’re a psycho about drinking water. I need to be better about that! Yes yes all of the yes. The 10k steps is so key for me now, I need to walk that amount or I feel really crazy or lazy or both, HA. I think for me, weighing myself is #1. I just need to know! Helps me understand where to start (depressed or happy – jk). And then adjust accordingly. This post was just what I needed! I’ve been slacking in the area of fitness lately, when in reality it has to be a top priority. No ‘Dad-Dip’ bashing allowed. I use diet cream cheese. These are great tips and I love your workout outfit so cute! I love your post. Such a cute outfit! Great tips and beautiful photography! Wow, This is really a motivational stuff!